When studying the stars, don't be surprised what may appear! 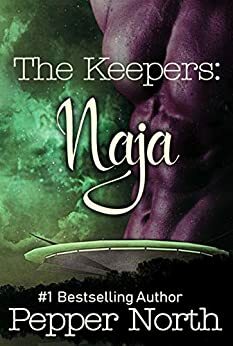 Naja's story is the third of The Keepers series of sci-fi age play romances. You will not need to read the stories in order. All are complete stories. The books in this series will feature invasive medical treatments, including thorough examinations and enemas, when required, as well as diaper changes, spankings, and other punishments. If you are offended by age play (adults who choose to live as a Little or a parent of a Little) or dubious consent, this is not the book for you. 5.0 out of 5 starsAll the feels and a hot alien thrown in for good measure! Your favorite chair, this book, and hot cocoa - a perfect feel good combination! I love this series - always find myself smiling at the antics our transplanted humans get into, and this book gives us another glimpse into this alien world and its inhabitants. This book just seemed to grab me on a more emotional level. But don’t worry...it might be on an alien world, but steamy age play-purple-furry-interesting parts style is an awful lot of fun. Can’t wait till the author takes us on another romantic adventure to catch up with past favorite characters and meet another keeper and his/her human. In the meantime, I’ll add these three books to my reread pile. It's a wonderful book ,just like the other 2 books in the series, great characters, love how she goes & gets into trouble after being told not to. Then she meets the older grandma keeper & falls in love with her. 5.0 out of 5 starsFast read. I couldn't put it down. 3rd installment and it is the best yet. Loved the introduction of the female character. This series is a little silly but I just love it so hard. I really like how the storyline is developing from story to story. The addition of Gbzi in the form of a grandmother and mentor. I was sad when she was introduced because she seemed so lost. But giving her this new role seemed so right. Read thru the KU program.